Greg Holder accepted the position of Lead Pastor at The Crossing in 1997 after serving for five years as an elder and leader on the worship team for our young, start-up church. 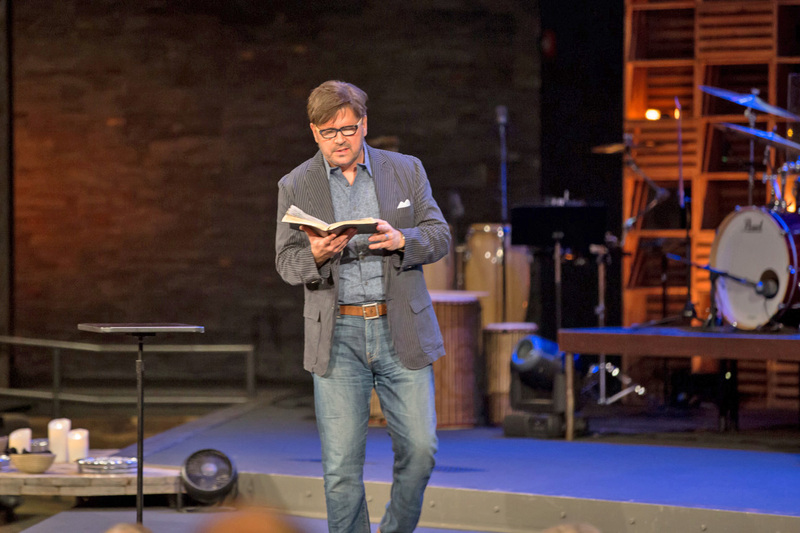 His visionary leadership and unique teaching style has brought The Crossing from a small church of 100 to a multi-site church of thousands. With degrees in psychology (B.A.) and counseling (M.A. ), Greg has also brought marketplace and clinical experience to his role as a lead pastor. Greg has the unique ability to interpret deep truths of the Bible into personal and tangible applications. He challenges us to consider pertinent historical and linguistic details in Scripture, without missing an opportunity to weave in humor and personal stories. He brings ancient truths of Scripture to light in fresh ways, while calling those from an unlikely mix of spiritual backgrounds to love as they have been loved. Beyond providing leadership and vision for The Crossing, Greg is a contributing writer to the Bible translation THE VOICE, a co-creator of Advent Conspiracy (a global initiative challenging churches and individuals to celebrate Christmas with simplicity while giving outrageously to those in need), and the author of The Genius of One. Greg and his wife Robin live in Wildwood, MO, with their dog and are proud parents to their daughters Alex and Tori (their husbands too). Keep up with Greg on Twitter or by emailing at gregh@thecrossing.church.